The Technology & Science Branch (TSB) provides support for NHC's assorted information systems, maintains an array of computer forecasting models, produces a small number of operational and nonoperational products, and develops new tropical cyclone and tropical weather prediction techniques. TSB also assists the operations of NHC by providing personnel, meteorological and data support. TSB is composed of a Branch Chief, a Science and Operations Officer (SOO), the Techniques Development and Applications Unit (TDAU), a Storm Surge Unit, a Computer Support Group (CSG) and Computer Specialists, Electronics Technicians, several contractors and a liason for FIU and NWS projects. NHC's System Administrator and Webmaster are drawn from this staff. Information systems supported by TSB include communications hardware, a network of PCs and workstations, and UNIX and Linux servers used for the ingest, processing, and display of satellite imagery and other data, as well as for the production and distribution of various NHC and TAFB products. GOES satellite imagery is ingested directly from the GOES East and GOES West satellites, while METEOSAT data and polar orbiting imagery are obtained via land lines. The GVAR and McIDAS (Man-computer Interactive Data Access System) satellite data processing system is used to view and manipulate this imagery. 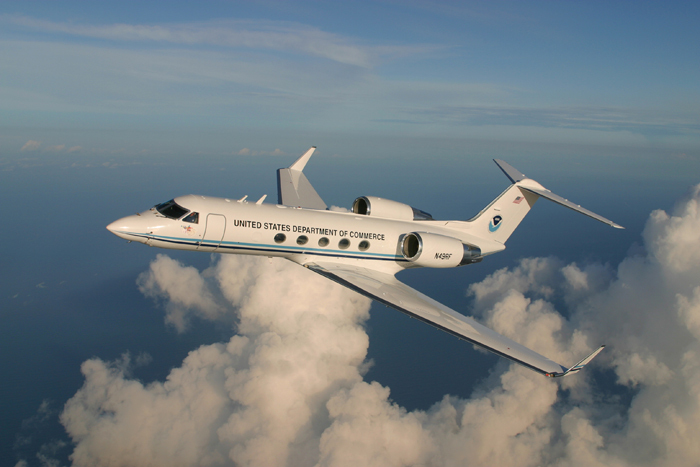 NCEP Advanced Weather Interactive Processing System (N-AWIPS) workstations running GEMPAK scripts process and display model output, aircraft observations from Air Force Reserve and NOAA reconnaissance missions, and conventional meteorological station, ship and buoy data. Finally, TSB was instrumental in the creation and continued development of the Automated Tropical Cyclone Forecasting (ATCF) system, used to incorporate various data and model outputs and to generate forecasts. TSB maintains a number of statistical and dynamic models used in predicting both hurricane behavior and associated weather conditions. An assortment of track and intensity forecast models provide information about the direction and strength of each individual storm. Given the strength of a storm approaching from seaward, the Maximum Envelope Of Winds model assists inland wind forecasts, and the Sea, Lake, and Overland Surges from Hurricanes (SLOSH) model details the penetration of floodwaters inland. TSB also evaluates the computer intensive dynamical models run at NCEP, and provides feedback for improvement of prediction in tropical regions. TSB operational products include large-scale analyses of tropical upper- and lower-level winds and storm surge predictions for landfalling tropical cyclones. Storm surge atlases, prepared in advance by TSB's Storm Surge Unit are used by county emergency managers to develop evacuation plans. The latest versions of publically available TSB operational products may be found on the Active Tropical Storms page and the marine forecasts page. The NHC Website is produced and maintained by TSB staff as a service to the public. TSB is responsible for developing new techniques for tropical cyclone and tropical weather prediction. TSB's Science and Operations Officer is directly involved in the development of new forecasting techniques. Members of TSB's Techniques Development and Applications Unit are charged with developing WSR-88D radar applications for tropical cyclones and new techniques for NOAA reconnaissance aircraft and other platforms. Several TSB members serve as reserve NHC Hurricane Specialists when additional manpower is required. TSB Computer Specialists and the Computer Support Group maintain the NHC 24 hour operational data flow. TSB also provides technical training for NHC and TAFB operational personnel.